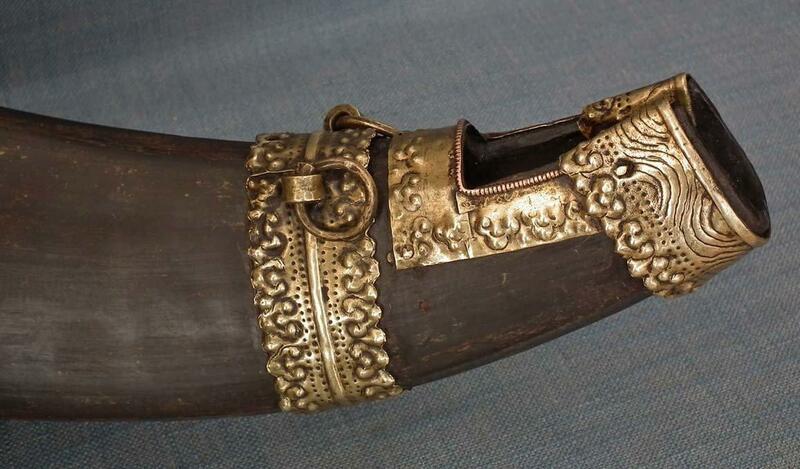 Antique 19th century Tibetan, huge Drinking Horn used to hold and dispense Chhaang or barley beer. 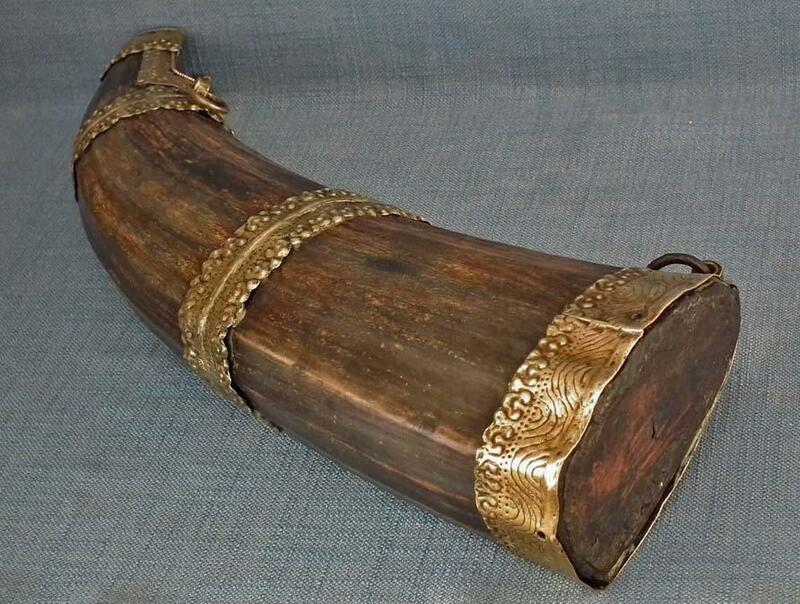 The slightly curved large horn body mounted with four brass mounts each hammered and finely repoussed with Ruyi heads and roiling waves ornaments and fitted with three suspension loops. The wider end has been plugged with a disk of wood. 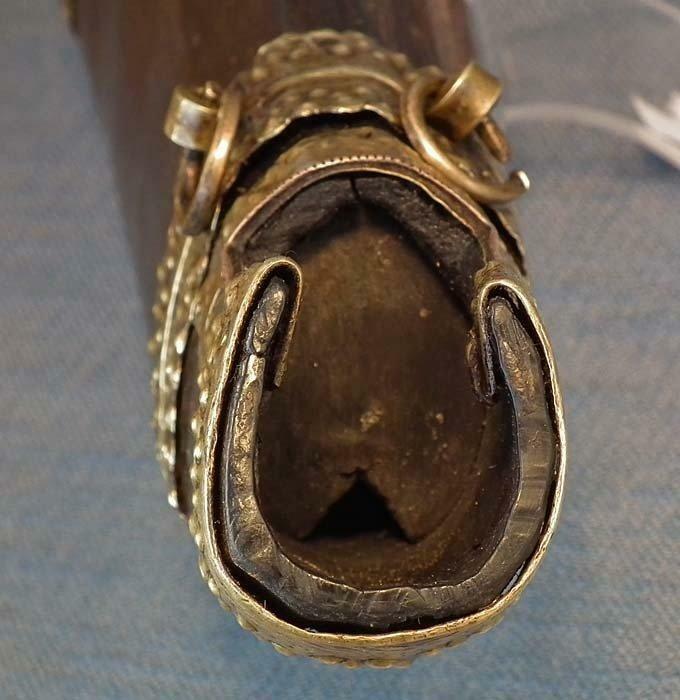 The other end has been similarly plugged but leaving a small hole from which the liquid can be poured. Chhaang is a Tibetan beer brewed from barley, millet or rice grains and especially popular amongst men. 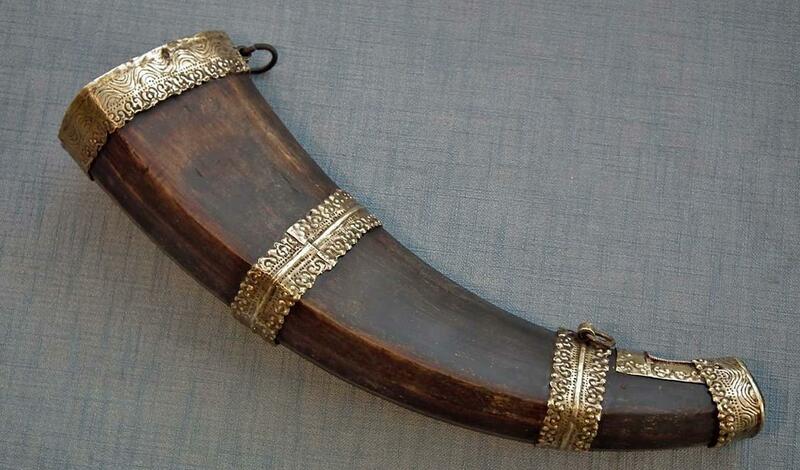 It has relatively low alcohol content and is said to ease the harsh cold of the Himalayan Mountains. 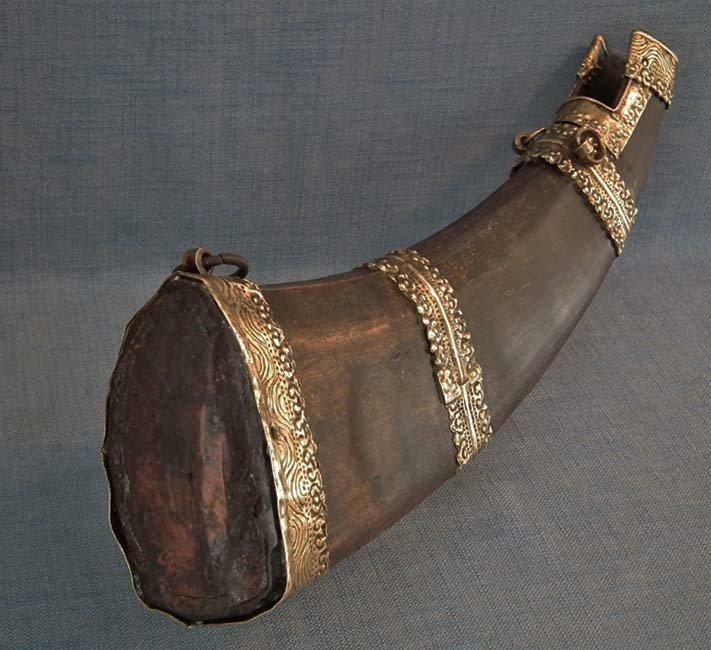 CONDITION: Overall, the flask is in fine condition, shows signs of usage and wear, some gaps between the brass mounts and the horn body because of age-related shrinkage of the horn as is common with this natural material as a very old horn or very old wood. Please notice that the pictures in the listing are part of the description of the condition of the object.